Hollywood’s Motion Picture Association has a voluntary agreement with the Indian domain registry NIXI to suspend pirate sites that use false Whois data. This is seen as an effective anti-piracy tool on top of site blocking. In addition, rightsholders also praise India’s Cyber Digital Crime Unit, which helped to suspend more than 200 pirate domains. Besides website blocking, which is gradually spreading all over the world, targeting the domain names of pirate sites is considered to be a somewhat effective anti-piracy tool. For years, copyright holders and local enforcement authorities have reached out to domain registries and registrars, asking these companies to terminate sites for alleged copyright infringements. In addition, Hollywood’s MPAA also struck voluntary deals with companies in the domain name industry, to suspend the domain names of infringing sites. While these agreements are criticized by some outsiders, the participating parties appear to be happy with it. 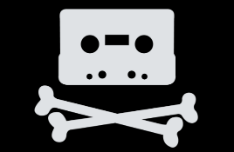 Recently we learned of a relatively new voluntary agreement that also targets pirate domains, but not for copyright infringement. The International Intellectual Property Alliance’s (IIPA) latest submission to the US Government explains that Hollywood’s MPA has a voluntary agreement with the National Internet Exchange of India (NIXI) and India’s Department of Industrial Policy & Promotion (DIPP). Under this agreement, which has been in place for a while, copyright holders can report “pirate” sites with an .IN domain. Not for copyright infringement, but because they used false Whois data to register the domain in question. “In 2017, the Motion Picture Association (MPA) agreed to a voluntary arrangement with DIPP and NIXI to suspend infringing websites based on false whois information; it focused on domains in breach of statutory and contractual obligations to maintain accurate and complete whois information,” IIPA writes. As far as we know this deal hasn’t been made public until now. However, it is seen by copyright holders as an effective anti-piracy tool in addition to site blocking. “This [agreement] has led to disruption of dozens of websites in India and should be considered an additional enforcement tool to traditional enforcement or site blocking,” IIPA notes. The ‘false Whois’ suspensions are not the only domain name actions taken in India. The relatively new Maharashtra Cyber Digital Crime Unit (MCDCU) is also taking action against pirate sites, which resulted in suspensions of more than 200 domains. The Digital Crime Unit has taken a page from the City of London Police, reporting sites that are suspected of crimes to various domain registrars. It’s unclear how many domain registrars rejected the suspension requests from the Digital Crime Unit. A few years ago we revealed that most domain name registrars refused to suspend domains based on a mere accusation from the City of London Police. In addition to domain suspension, the Indian unit was also involved in other enforcement actions. This includes including the arrests of four people in connection to a leaked episode of Game of Thrones last year, which was covered by news media all around the world. IIPA notes that there is still plenty of improvement possible when it comes to copyright enforcement and anti-piracy actions in India. It is happy with the help from MCDCU and NIXI though and encourages these outfits to continue their “excellent work” suspending domain names.